Lexi and Travis had a small, thoughtful wedding at Lexi’s uncle’s house in Westlake. He owns a catering company so he has a lot of experience with events and his home was beautiful, with a great pool and a trellis that was perfect for the wedding. Even though it was small wedding, they put a lot of effort in to make sure it was beautiful. Lexi and Travis are pretty much the nicest people ever. They live in Houston and are friends with Angela and Ben, who also had a tiny, beautiful wedding and that’s how they found me! They got married under the picture-perfect trellis you’ll see below, and there were like 6-10 dogs at this wedding. Yes, it’s true. Lexi’s dogs were there, her uncle’s dogs were there, and they neighbor’s dogs just sort of come over whenever so there were lots of dogs everywhere! Honestly, Lexi is a superhero. She’s one of those women who plans the perfect wedding with her partner and runs marathons. They’re both so thoughtful and completely killing it. The portraits of her and Travis I took are some of my favorites from this wedding. They had their first look in front of the house where they gave each other gifts. Their dogs watched and it was really beautiful. Throughout the whole wedding you could just tell that they had put so much thought into every detail — like the amazing table with monstera leaves and agate coasters with everyone’s names. Lexi and Travis had the exact wedding they wanted with all the most important people in their lives there. 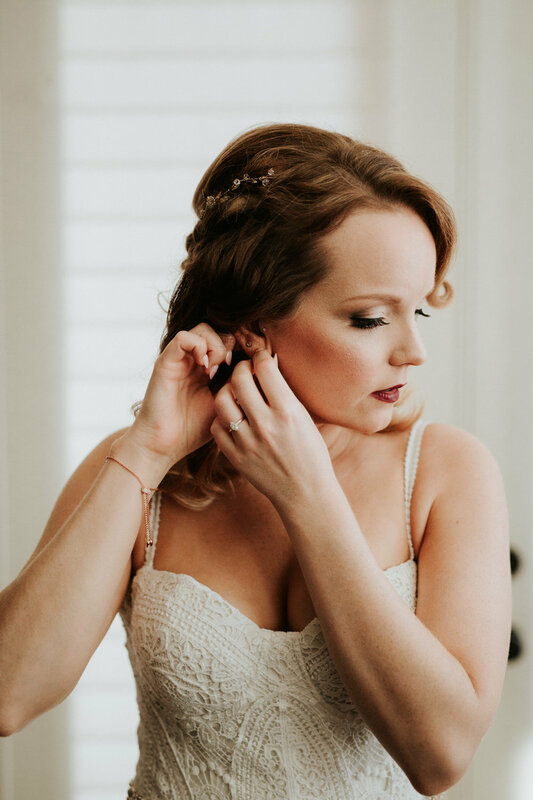 They were published in A Practical Wedding because their wedding was just perfect, and Lexi sent me so many sweet printed cards of how they used their photos which I loved. Keep scrolling to check out all the special moments from this sweet couple’s wedding!